Our team answers homeowner questions every weekend on WCCO 830 AM from 9:00 am-10:00 am. Have your most pressing home improvement questions answered by calling 651-989-9226 or texting 81807. Here’s the must-know information our COO, Andy Lindus, shared on 1.6.18. When it comes to home maintenance, one of the most important tasks never to neglect is getting an annual HVAC inspection. This inspection should be done in tandem with an analysis of your carbon monoxide’s detectors. For maximum protection, it’s important to have one on every floor of your home and in close proximity to a bedroom. Andy opened the show by telling the story of his uncle that was experiencing furnace issues. He’d been advised that hitting a bypass button could override the issue that was preventing the furnace from functioning as it should. The fix was far from permanent and it was a short time later when his home’s carbon monoxide detectors started sounding. Without this safety measure in place, the situation could have been fatal. The first question came from a listener wanting advice on how to address window condensation. Andy advised him that most frequently this issue ties back to a home humidity issue. However, malfunctioning windows shouldn’t be ruled out as the issue. Lynn from Inver Grove Heights called in because she had a picture window that’s molding and rotting on one of the corners. She wanted to know if it made more sense to repair or replace the 15-year-old window that was original to the house. A sore spot was that the window had been experiencing this issue for the past five years. Andy advised her that the window she was describing was a textbook example of the builder grade products that were meant to last no more than two decades. Jerry in St. Paul is the owner of a historic home. Some of the home’s windows were still original and wanted to understand the difference between full frame and insert window installations. Andy explained that a full frame replacement meant the replacement of the entire frame. This means that a home’s siding or brick mold must be removed during the process. 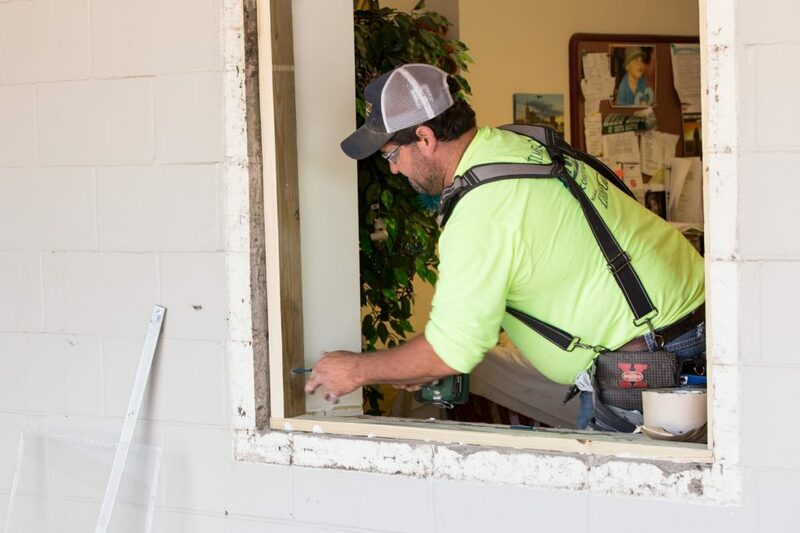 This thorough approach allows an installer to address air and water infiltration issues because they have the ability to fully evaluate the window frame. Although the approach to installing insert windows is less obtrusive, the process can still allow air to leak through the window. Another text message came in from a homeowner wanting to learn more about what a home performance test entails. Andy informed them that while there’s a cost associated with the test, the information provided is priceless. That’s because a blower door test allows a contractor to fully evaluate areas in a home that may be experiencing air infiltration. Infrared imaging also provides full details on a home’s stack effect. Here's the story behind a Twin Cities exterior remodel that included a new porch, updated siding, windows, and roofing. "Each team you sent to do their designated repair (roof, gutters, deck, and window) were true professionals that worked hard, were polite, efficient, thorough, and punctual. You not only have a satisfied customer, but you have a new champion that has and will continue to recommend Lindus to friends and family." - Mary W.
"I'm thrilled and proud to have beautiful windows from Lindus. They sparkle in my estimation and actually make my fixer-upper start to look like someone who is proud to be a home owner. Thank you again for the craftsmanship detail attention from your master installers. I would recommend Lindus to anyone who wants a fine quality product and service." - Dianne W.